The Duck Academy is a European Economic Interest Group that assists people and organizations who want to unleash creativity and imagination in order to build a brighter future. We strongly believe that the pace of change in our world needs dynamic and creative methods in order to deal with disruption and transformation, whether it be on a personal, organizational or societal level. Through promoting play and learning based on the Lego® Serious Play® methodology, we unlock the dynamic potential of you and your team and we’ll guide you dealing effectively with today’s and tomorrow’s challenges. According to the ancient Greeks, Akademia was a sanctuary of Athena, the goddess of wisdom and skill. 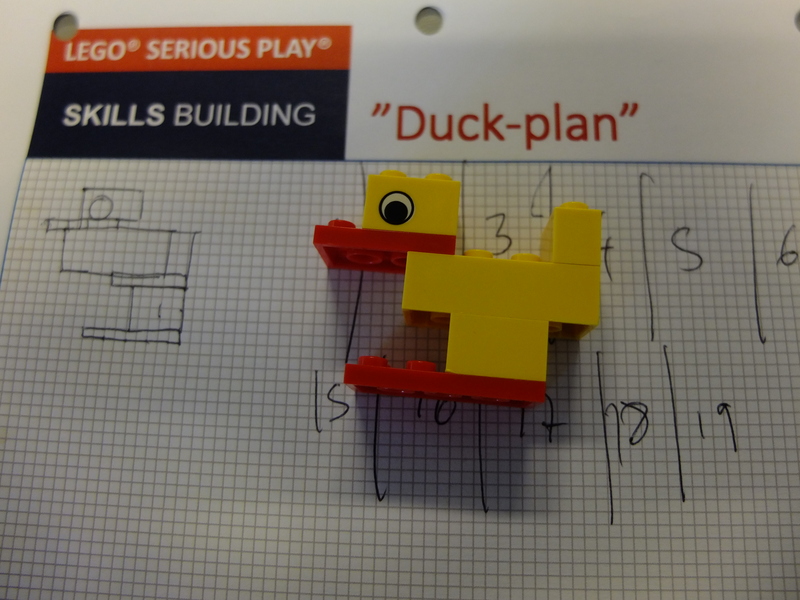 We at the Duck Academy are co-creating an institute of education, learning and research. We want it to be a sanctuary for everyone who’s interested in learning through imagination and play. In order to do so, we refer to the yellow/red six-brick Lego duck which has been the favorite exercise to acquire the skills and grasp the ideas of Lego® Serious Play®. But the duck is also a very intelligent and versatile animal: it can swim, dive, walk and fly and it is very good at navigating. As all trekking birds, ducks make use of different methods to arrive with great precision at their destination (which might be thousands km away). Being a leader, don’t you feel you need to address the unknown in your environment all the time? You probably also want to know exactly when it is time to act or not to act? Ducks know, they seem to know exactly when they should start their journey escaping winter. Addressing the unknown and deciding when to act are skills that can be developed through Serious Play at the Duck.Academy. And last but not least: we strongly believe that when dealing with challenges, solving problems or facing transformation all members of the team have a part of the solution. Just like ducks, when traveling in V formation responsibilities are shared and every single duck plays its role in arriving at the destination! For further information contact us@duck.academy.